Found 3 file extension associations related to Apple DVD Studio Pro and 1 file format developed specifically for use with Apple DVD Studio Pro. 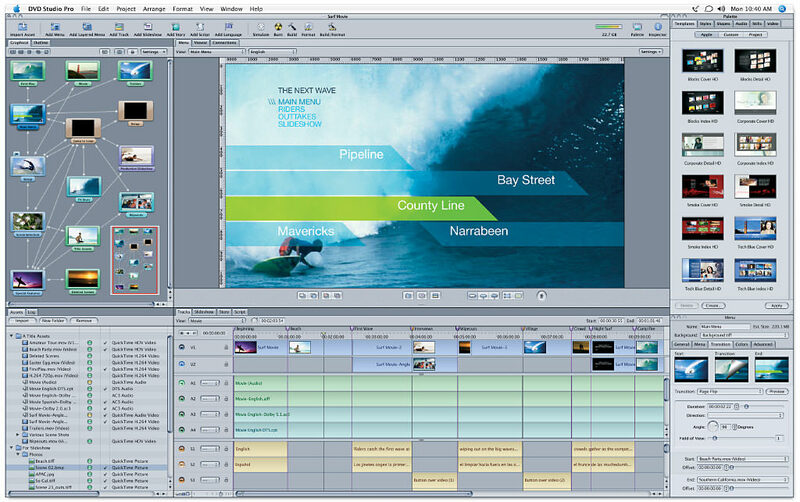 DVD Studio Pro makes it easy to extend your creative vision to every aspect of DVD authoring. Whether your project is simple or sophisticated, you’ll enjoy using familiar, easy-to-use tools to produce the perfect presentation of your SD or HD content. A comprehensive set of advanced features is available whenever you want more control. If you need more information please contact the developers of Apple DVD Studio Pro (Apple, Inc.), or check out their product website.